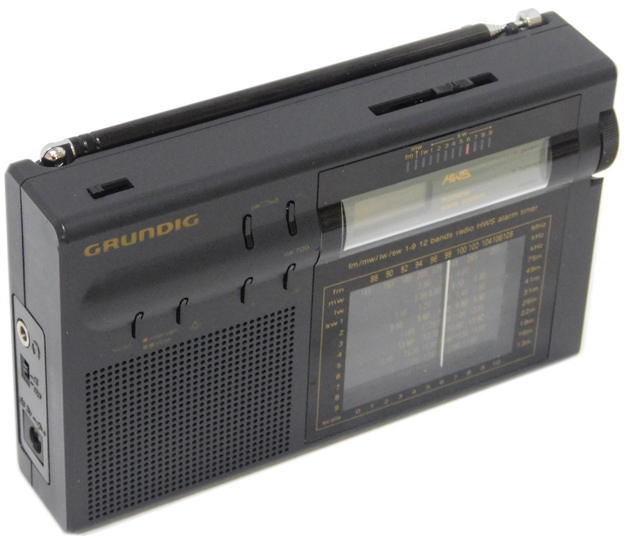 The Grundig RK709 is a compact 12 band analog portable radio that covers long wave, AM, FM and nine international shortwave bands: 3.9-4, 5.395-6.2, 7.1-7.4, 9.5-9.9, 11.65-12.05, 13.6-13.9, 15.1-15.6, 17.55-17.9 and 21.45-21.85 MHz. 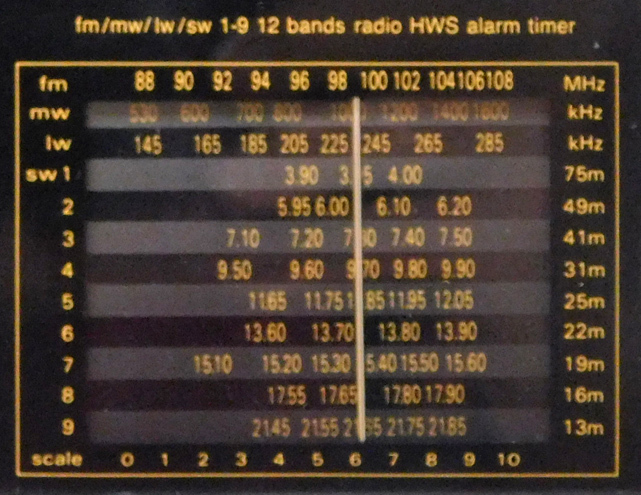 Longwave coverage is 145-285 kHz. The slide type band selector is on the top panel There is tuning LED and a stereo LED. 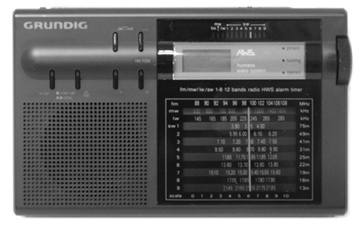 The right side of the radio has a slide-type volume control. The left side of the radio has a switch for FM mono/stereo, a mini earphone jack and 3 VDC [-] input. The collapsible telescopic whip is for the FM and shortwave bands, and does not need to be extended for AM band reception. 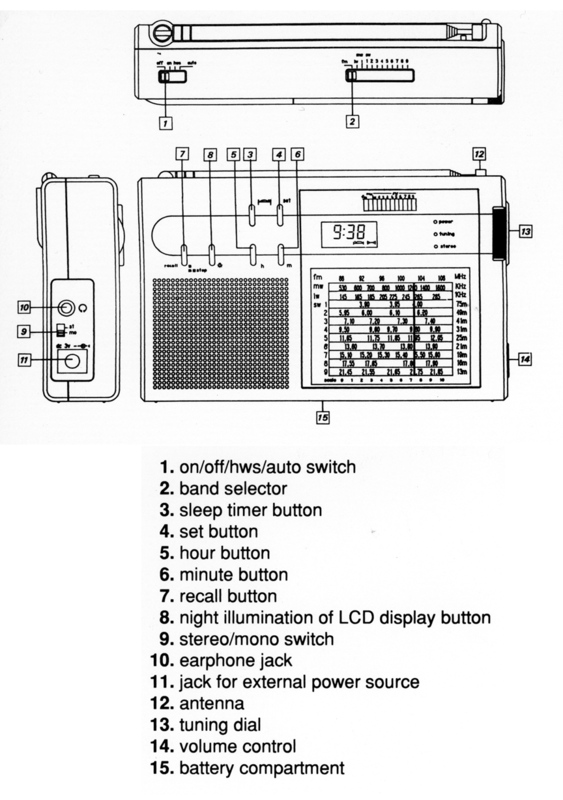 This radio operates from three AA cells. Two for the radio and one for the digital clock. Batteries are not supplied. With soft case and ear buds. 6 x 3.5 x 1.25 inches.